Now this post is going down a slightly different route, and I wanted to post this before I took a break from my blog but I never really plucked up the courage to try something different than the set routine posting schedule that I created for myself. Now that I have broke free from this routine (well a little anyway) it leaves me free to write what I enjoy and to post it when I feel like it. Please leave me a comment or send me a message on my Facebook or Twitter letting me know what you think! Brutal cold forces two Antarctic explorers to leave their team of sled dogs behind as they fend for their survival. I have always been a fan of Paul Walker so it made sense to watch the film, and I’m not sorry that I did. The range of emotions that this film brings out in me gets me every time and its definitely a film that I will come back to time and time again. A Malinois dog that helped American Marines in Afghanistan returns to the United States and is adopted by his handler’s family after suffering a traumatic experience. 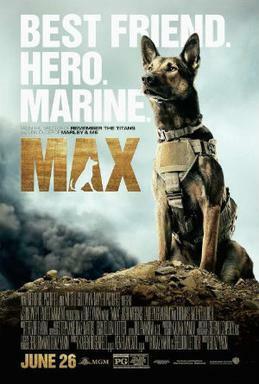 The idea by this film is simply fantastic, there’s so many films about soldiers that have experienced traumatic events in war zones, and the fact that a film was made about the dogs who also go through the same events is amazing. I have never felt so many emotions throughout a film as in this one. WARNING HAVE PLENTY OF TISSUES (I think I only made it about 15 minutes in before I needed them). Quite simply this film (and the sequel) is my childhood. It may be aimed at kids but I’ll love it forever. Its such a heartwarming story of a group of people desperately saving an animal who is destined for death if left in the wild. Truly amazing and based on the true story of Winter, who can be seen in person at Clearwater Marine Aquarium. A detective must adopt the dog of a dead man to help him find the murderer. Tom Hanks! A young Tom Hanks is possibly the best movie maker of all time, you’ll laugh and cry (but mostly laugh) at this crime fighting duo! Turner & Hooch is number 2 in my all time favourite films (just beaten by Apollo 13, Tom Hanks yet again!). I’d love to hear what everyone else’s favourite animal films are! Leave me a comment below to let me know, maybe you’ll give me a new favourite! !